Many Pagosa Springs and Colorado non-profits will be participating in ‘Colorado Gives Day’ where Coloradans are encouraged to “give where they live” to support local organizations. If you’re interested in participating in Colorado Gives Day through donating, but don’t know if you’ll remember to log on December 4, you’re in luck. Through the Colorado Gives Day website, you are able to schedule donations that will be automatically proceed on December 4 so you can give to your favorite Colorado nonprofits with ease. ‘Colorado Gives Day’ donation scheduling began on November 1. 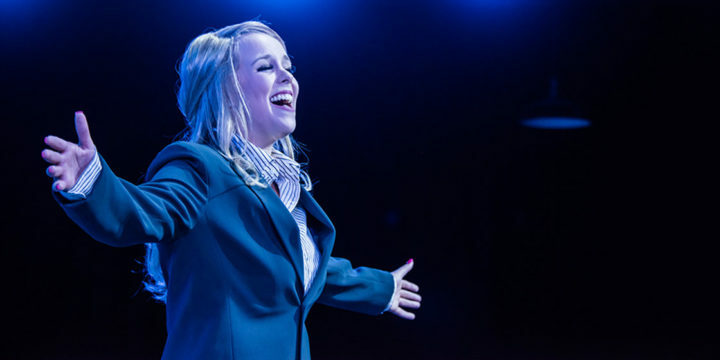 ‘Legally Blonde, the Musical’ was one of the Summer 2018 shows at the Thingamajig Theatre that was supported partially by donations through events such as Colorado Gives Day. Thingamajig Theatre will be participating in Colorado Gives Day by raising funds for their general production fund, which helps keep thrilling professional theatre in Pagosa Springs, and their air and heating system, which is in desperate need of upgrading. Thingamajig has been using the same loud and inefficient swamp cooler and heating system since the doors of the theatre opened. During the dog days of summer, the actors of Thingamajig are often performing eight high-energy shows a week, including large Broadway style musicals with plenty of singing and dancing. With all of that activity, the hot mountain sun, and a loud windy swamp cooler that can’t be run during the show, the theatre can get sweltering enough that patrons will leave midway through the performance. In the winter, when snow and ice blanket the Pagosa landscape, Thingamajig is still performing crowd-pleasing comedies, dramas, and musicals. With the current loud heating system, which also cannot be run during performances, as it interferes with the ability to hear the performers, patrons can go from comfortable to popsicles over the course of the show. Thingamajig Theatre wants to make the performance spaces at the Pagosa Springs Center for the Arts comfortable for everyone. To do that, the theatre would like to replace the swamp cooler in the black box space, add air conditioning in the lobby space, and replace two loud gas heaters in the black box. These new systems will ensure that our cooling and heating systems will be quiet and efficient. This means the cooling and heating systems can be run during shows to keep everyone comfortable throughout the seasons. The total cost of the improvements will be $30,000. Luckily, John and Ginger Baxt have agreed to match the first $10,000 of donations… so with Thingamajig Theatre your Colorado Gives Day donations go even further. With this improvement, Thingamajig Theatre can continue to provide exhilarating shows in a comfortable and welcoming atmosphere to the people and visitors of Pagosa Springs. To schedule your contribution, visit our Colorado Gives Day page at coloragogives.org/pagosacenter.